When traveling in Italy, what’s a better way of pampering yourself than picking your accommodation among the best five-star hotels in Rome? Our hotel guides empower you to find the best hotels in Rome for your needs, depending on how much you want to spend and which area you want to stay. We are here to guide you through this opulence trip with our reviews to help you choose the perfect luxury hotel in Rome. Everything in Palazzo Manfredi shouts opulence and comfort. Located in Via Lubicana, a stone’s throw away from the Coliseum, this luxury Rome hotel has ancient origins. During imperial times, this area was used for four barracks, accommodations and gym for the gladiators who prepared for their fights just a few meters away. The modern building was designed by architect Giovanni Battista Mola as the house of the Evangelisti family. In the centuries, the building has been used as the seat of the Fraternity of the Holy Trinity of Pilgrims and Convalescent to be later acquired by the Guidi family. In 2002, count Goffredo Manfredi bought it and renovated it into the five-star hotel we see today. The location is unbeatable, surrounded by the most important remains of Ancient Rome, and the concierge will be happy to help you arrange your itinerary with local guides and booking your tickets. The rooms and suites of Palazzo Manfredi are furnished in an elegant style and balmy pastel hues, fully equipped with state-of-the-art comforts. The Suite Colosseo, with a view right on the Coliseum, features a hammam, a shower with chromotherapy, a Jacuzzi bathtub and a small gym. Easy one of the best five-star hotels in Rome, Palazzo Manfredi delights its guests with a Michelin-starred restaurant, Aroma, where the chef Giuseppe di Iorio and his team serve a creative take on traditional cuisine with a contemporary twist. If you don’t have the time to linger in the Aroma restaurant, you can relax in the hotel’s bistro located on the covered terrace leaning over the Oppian Hill and serving “quick and chic” dishes and cocktails in a light yet sophisticated concept. Click here for more details on booking availability and current prices. You can have a fantastic experience of Ancient Rome at the Roman Forum by booking a multimedia tour with the tried and tested Walks of Italy. Enter Caesar’s Forum and Trajan’s Markets after closing time and enjoy a reconstruction of how the buildings were in imperial times thanks to a multimedia show with the Ancient Rome Reconstructed Tour. Click here for more info and current prices of Ancient Rome Reconstructed Tour. One of the favorite five-star hotels in Rome, Hotel De Russie, located in Via del Babuino near Piazza di Spagna and Piazza del Popolo, couldn’t miss our reviews of the most exclusive luxury resorts in the Eternal City. Beautifully blending ancient and modern, just in line with Rome’s spirit, Hotel De Russie reserves a “secret” garden to its guests who can enjoy a green oasis right in the city center. The rooms (from 23 square meters up) are furnished with an elegant design, feature a living room, a desk, and a chair. Bathrooms are decorated with marble and mosaics. They all have a view of Rome or the hotel’s garden. The themed suites are finely decorated and feature an elegant parlor inclusive of comfortable living room. The Picasso Suite, where Picasso (yes, the Spanish painter) lived there for three months in 1971, has been recently renovated and features a private bar, a desk, a private terrace with a dining table for four people, the Vaselli Suite, on the fifth floor, features a private terrace and gives you a view of the hotel’s Secret Garden and on Villa Borghese’s Pincio, while the Popolo Suite is festooned with bright orange, purple and yellow hues, ancient sculptures, antiques, as well as modern Italian furniture and carpets decorated with the patterns by artist Olga Polizzi. This suite feature a second bathroom for potential guests, and a large hall with a dining room that can accommodate six people, as well as a private terrace complete with chairs, a sofa and a table for two. The Suite Nijinsky, located on the top floor, opens to a wonderful view of the Eternal City, offers a private terrace of 239 square meters furnished with a sofa, teak tables, lounge chairs, all embellished with Mediterranean plants and flowers. In this suite, the bathroom includes a private Turkish bath with separate shower. The guests of the suites can enjoy extra complimentary services such as transfer from and to the airport, the en-suite check-in, personalized concierge service, and can choose among activities such as a tour of the city with a professional guide, a “Luxury Manicure & Pedicure” treatment, an-hour shopping itinerary with a personal shopper, a bottle of Champagne or a private session of “Art Running” around Rome with a personal trainer. The hotel offers also a fine dining restaurant, Le Jardin de Russie, where you can eat either à la carte, choosing your favorite dishes from their gourmet menu, or go for a buffet-style light lunch from Monday to Friday where all types of dishes are served. Every Saturday and Sunday, you can treat yourself to a brunch, starting at 1.30 to 3.30 pm, rich with vegetarian and fish-based varieties. A truly exclusive resort located on Monte Mario hill, Rome Cavalieri Waldorf Astoria doesn’t only offer luxurious and elegant rooms, but also one of Rome’s best restaurants and breathtaking views of the city. Their rooms are Premium, Deluxe, and Imperial. Premium Rooms come with a private balcony and you can reserve those with a view of Rome, Deluxe Rooms come with a private balcony with a view of the hotel’s park or of the residential area. Both Premium and Deluxe Rooms feature a king-size bed or twin beds, 50 square meters with a connecting room available upon request, large and comfortable living room, soundproof double door, LED 42-inch HD TV. On top of all this, the Imperial Rooms come with a free access to the hotel’s Imperial Club that hosts an exclusive buffet all day, and access to the Grand Spa Club. Open every day from 7 am to 10 pm, the Grand Spa Club includes a spa with facial treatments, spicy and deliciously flavored body massages, a Turkish Bath, swimming pools, a cafè and a boutique if you want to spoil yourself with some La Prairie products. If you would rather stay in the open air, the Club gives you access also to the beautiful park surrounding the premises where you can follow the pine-tree-scented jogging route, and to the large swimming pool. For those who don’t want to give up on their training even when on holiday or business trip, Rome Cavalieri offers a Technogym equipped and recently renovated fitness center where a personal trainer will follow your progress. A sports lover? Relax at the tennis fields where even world champions have been seen training. The hotel serves some of the best food in the city at its signature restaurant La Pergola run by the chef Heinz Beck, L’Uliveto on the terrace where guests can have their breakfast and the Sunday brunch, e the Tiepolo Lounge for a cocktail, a tea or any other drink. The guests enjoying their time by the pool can refresh at the Pool Bar e Chalet. Located in the city center surrounded by landmarks such as Via Veneto, Piazza di Spagna, and Trevi Fountain, The St. Regis Rome is set in a historical palace built in 1894 and its interior is decorated with artwork collections, antiques, and Murano-crystal chandeliers. The rooms, finely decorated with wooden-inlaid furniture, frescoes, and paintings, feature a marble bathroom with separate shower and bathtub, complimentary water bottles, air conditioning, minibar, flat-screen TV, WiFi and complimentary access to the hotel’s fitness center. To this luxurious comfort, the suites add amenities such as a signature butler service, walk-in wardrobe, and a spacious living room. The 80-square-meter Ambassador Suite is decorated with rich damask fabrics, original frescoes, Murano-glass chandeliers and lamps and enriched with luxurious marble bathrooms. This beautiful resort, one of the best five-star hotels in Rome, features also an Asian-concept spa that offers beauty and wellness treatments including their signature massage combining Thai and shiatsu techniques, and a fitness center equipped with state-of-the-art Technogym machines and treadmills. 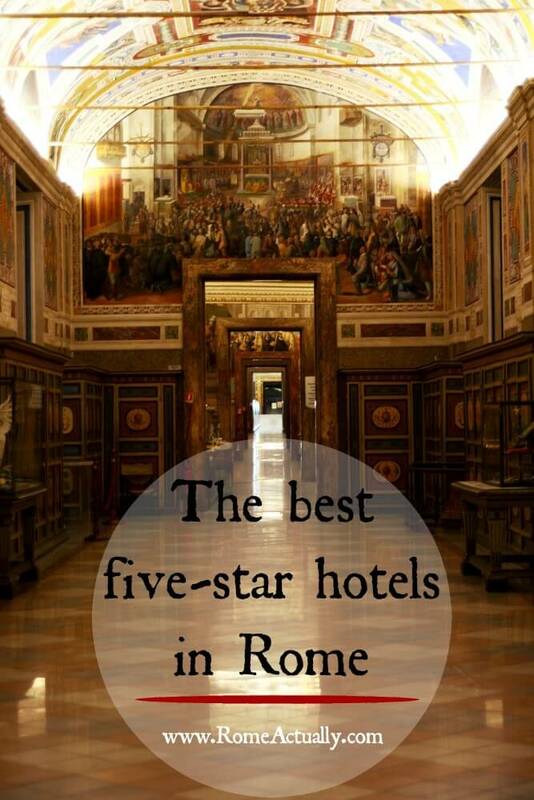 Soak in art and luxury in one of the best-five-star hotels in Rome. Located in the very city center a stone’s throw away from the Spanish Steps, J.K. Place Roma, featuring sumptuous rooms and indulgence suites, is another place that made it to our reviews of the finest hotels in Rome. Every room has a separate living room, spacious marble bathrooms, and a canopy bed. Among the facilities are a satellite LED TV, a docking station for iPad and iPod, WiFi connection, electronic safe, air conditioning, a minibar and a comfort kit. The hotel features a lovely restaurant, JKCafé, that serves Italian and international delicacies strictly prepared with fresh ingredients. Snack, cocktails, and drinks are served at the JKCafé Bar all day long. Every Saturday and Sunday is brunch time where guests will enjoy a buffet of the best chef’s warm and cold creations, fresh veggies and fruits, snacks and cakes. Located on top of the Spanish Steps, Hotel Hassler stands out among the best five-star hotels in Rome for its unbeatable location. The large suites include one or two private terraces, a spacious sitting room with large sofa and plasma TV, a dining area separated from the bedroom by sliding doors, a writing desk, a walk-in wardrobe, a marble Jacuzzi bathroom and shower and breathtaking views of Rome’city center. Among the amenities included in the suites are gazebo with fireplace, marble table, sunbeds and LCD flat screen decorating the terrace, air conditioning and in-room climate control, complimentary transfer to and from the airport, wired and wireless fast internet connection, complimentary smartphone with unlimited national and international calls included, in-room LCD flat-screen TV with satellite and Pay-TV channels included, a minibar, a selection of local and international newspapers, a mini-TV in the bathroom. The Hassler Penthouse Suite has direct access from the elevator, a cocktail bar area in the dining room, a chromotherapy-enhanced shower, a guest bathroom, walk-in closets and private butler service. The 92 rooms, finely decorated in classical style with a contemporary twist, come air conditioning, fast internet connection, private safe, minibar, LCD flat-screen TV, availability of connecting rooms, a complimentary smartphone with unlimited national and international calls included. The hotel features a state-of-the-art spa and wellness center where guests can choose from a wide range of treatments, massages, sauna, steam bath and solarium sessions, or train with the cardio machines and weight room of the modern fitness center. Hassler Hotel boasts also a wide range of fine dining options, such as Michelin-starred Imàgo, open every day for dinner and serving the chef’s personal interpretation of regional and strictly seasonal Italian dishes, Salone Eva for breakfast, lunch, afternoon tea and dinner with a background of live piano music, and the glamorous Palm Court restaurant and bar serving morning coffee, lunch salads, cocktails, ice teas, dinner and late-night drinks. Choose Hassler bar if you are more into a cozy and intimate cocktail or aperitif, or Sala Vietri Lobby Bar for a tea/coffee midday time off. Another outstanding example among the best five-star hotels in Rome is the sumptuous Hotel Eden located near central Via Veneto, Villa Borghese, and the Spanish Steps. Furnished and decorated with a classic yet minimalist style and creamy and pastel hues, the 98 rooms and suites of this luxurious resort are embellished with elegant furniture and fine fabrics, and perfectly blend a classic Roman atmosphere with state-of-the-art comfort and technology. Among the amenities featured in the rooms are the electronic air-conditioning and lighting control, WiFi, HD Bang & Olufsen TV with Bluetooth audio connection and marble bathrooms complete with Bottega Veneta toiletries kit. The Penthouse Suite Bellavista boasts a private elevator access, a living room with dining hall with capacity up to eight people and working space, a guest bathroom, floor-to-ceiling windows, spacious walk-in closet, wooden floor, iPad-control for lighting and climate system and for room service, large safe, Nespresso machine, complimentary water and minibar excepted for alcoholic drinks. Included in the booking of the suites are transfer to and from the airport or the train station, WiFi connection and a bottle of Krug Champagne. The dining options at the Hotel Eden include the elegant La Terrazza restaurant run by chef Fabio Ciervo who serves a contemporary and innovative Mediterranean cuisine prepared with local and seasonal ingredients and paired with the best wines, and Il Giardino rooftop bar for light meals, seasonal specialties, snacks and a relaxed cocktail and drink area all surrounded by greenery as a continuation to the adjacent Villa Borghese. For a warm and cozy snack, salad, afternoon tea, aperitif or after-dinner drink, the intimate lounge bar La Libreria welcomes guests all day. The hotel’s spa offers massages and special treatments using the artisan products of the historic Officina Profumo Farmaceutica di Santa Maria Novella from Florence and Anmin Cosmetics. Luxury five-star hotel in the heart of the Eternal City, Hotel Splendide Royal is set in a 19th-Century palace once the seat of the Roman Maronite community. Its restaurant, Mirabelle, directed by chef Bruno Borghesi, is regarded as one of the best in the city. The dining scene includes also the Crystal Lounge open for breakfast, lunch and private dinner upon request, and the American Bar Mirabelle open from 12 pm to 1 am serving drinks and snacks inside and on the terrace. Of sumptuous Baroque-style decor, the rooms feature a large marble bathroom, large terraces, free WiFi, bathrobes, a range of toiletries, while the Junior Suites come with flat-screen TV with Pay TV included, a living room, and the Suites with whirlpool baths. The Presidential Suite features a large flat-screen TV, HI-FI system with CD/MP3 player, DVD player, fax machine, two marble bathrooms, long chairs on the terraces, and a living room with large dining table and small sitting area. Opulence and luxury are key to this five-star hotel in Rome city center. 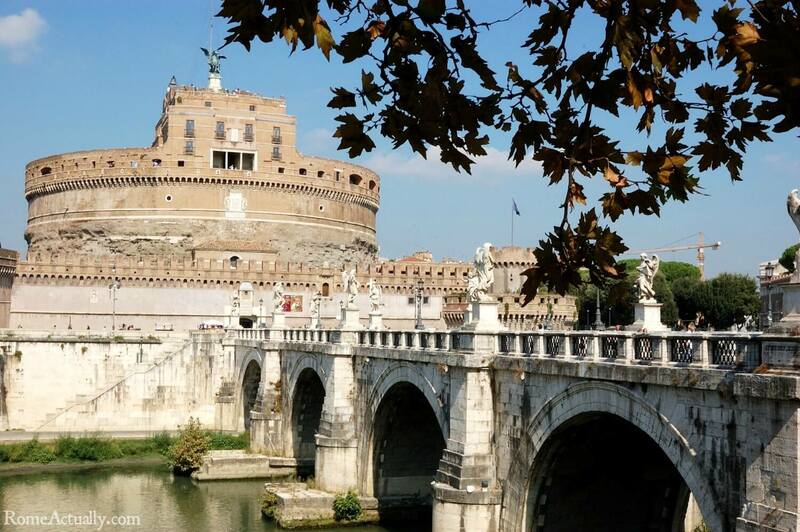 From Gran Meliá sumptuous resort the Vatican and other main places to visit in Rome are within walking reach. The hotel features impressive swimming pools, lush gardens, a complete spa and thermal baths. The rooms are decorated with a classic and elegant style, every detail taken care of. The rooms’ state-of-the-art amenities incl a de minibar, flat-screen TV with cable and satellite channels, Nespresso coffee machine, Clarins toiletries, hairdryer, safe, fast WiFi connection. Premium Vista Città rooms have a view of the Tiber river, Saint Peter’s Dome or Hadrian Mausoleum, while the guests of Camera Supreme rooms can enjoy their own private garden. The hotel’s suites feature a wide living room, a sumptuous bathroom decorated with marble, natural and Trani’s stones and complete with a luxurious set of Clarins beauty products. The Supreme RedLevel rooms on the hotel’s top floor feature a whirlpool bathtub on the terrace and guests will have a series of personalized services. The Emperor Penthouse enjoys a 200-square-meter terrace with external whirlpool bathtub and private fitness space. Gran Meliá’s signature Viva Voce restaurant serves dishes from the Mediterranean cuisine in a blend of seasonal and regional flavors guests won’t resist. The dining scene in the hotel doesn’t end here, though. Its Liquid Garden is the place for an afternoon snack, an aperitif or a drink on the exclusive lounge area set beside the swimming pool, while if you prefer a cozy area inside, choose The Library, former used as a church in this 19th-Century palace and now an elegant parlor perfect for a cocktail or an afternoon tea. Open all day is their Nectar Bar & Restaurant where guests can enjoy a morning coffee, a quick light lunch or a casual dinner. Overlooking Villa Borghese park, Aldrovandi Villa Borghese, one of the most luxurious five-star hotels in Rome, provides its guests with a truly VIP experience. Former cloister, this 19th-Century palace is now an elegant oasis nestled in one of Rome’s exclusive neighborhoods and surrounded by historical places and buildings. Treating its guests to a wide selection of fine dining options, a heated open swimming pool, a gorgeous private garden, 24-hour room service, complimentary bike rental, a modern fitness center and exclusive spa, Aldrovandi Villa Borghese is one of the best five-star hotels in Rome. Rooms are all con vista, be it on Villa Borghese or on the private garden and swimming pool. On top of that, the suites feature a marble bathroom with separate shower and bathtub, and a spacious living room, the penthouse Royal Suite has two bathrooms, a changing room, a working area, 50-inch Bang & Olufsen TV and a view on Villa Borghese and the hotel’s private garden. Guests can enjoy fast WiFi in every area of the resort, and a free use of iMac and iPad. The hotel’s spa offers a wide range of beauty treatments, massage, sauna, Turkish baths, a bathtub for thalassotherapy, and a fitness center equipped with last-generation Technogym and Power Plate machines. The Michelin-starred restaurant Assaje serves creative culinary experiences inspired by the Mediterranean tradition and the cozy Grill restaurant welcomes the guests to a warm fireplace area, perfect for a dinner on a cold winter evening. The outdoor Bar del Giardino serves aperitifs, drinks, and romantic dinners alfresco from spring to autumn, while the indoor American Bar is perfect for an intimate drink or cocktail during winter. A luxurious boutique resort, Hotel Indigo is one of the favorite five-star hotels in Rome close to the city’s most famous landmarks such as Piazza Navona, Campo de’ Fiori, the Vatican City and Hadrian Mausoleum. Located in the Renaissance Rione Regola quarter, the palace was first commissioned by Pope Julius II to famous architect Donato Bramante, in charge of making it the Court Palace. The project was never completed but its original travertine blocks are the main features of its facade still today. The 64 rooms are finely decorated with classic elements recalling Roman history in a contemporary design, select parquet floor, marble bathrooms and have a fast internet connection. The Family Deluxe and the Executive Suites feature two rooms, two bathrooms, and two independent entrances. Among the features of the Standard Rooms are flat-screen TV, kettle for tea and coffee, comfortable desk, smartphone dock stations, electronic safe, pillow menu, a free smartphone to use during the stay both inside and outside the hotel with unlimited internet, national and international calls, bathrobe, hairdryer and courtesy kit. The Superior Rooms and the Family Deluxe add a complimentary mini bar with a selection of non-alcoholic drinks, Nespresso coffee machine, and 10% discount on all the treatments and massages at the hotel’s Spa. The 35-square-meter Junior Suite includes a double bedroom and living room with sofa bed, while the Executive Suite, 65 square meters, features two bedrooms, a living room, two bathrooms and two independent entrances. All suites feature a complimentary mini bar with a selection of non-alcoholic drinks, Nespresso coffee machine, and 10% discount on all the treatments and massages at the hotel’s Spa. The signature Hotel Indigo Rome – St. George restaurant serves dishes from the Roman tradition with a creative twist strictly prepared with organic and seasonal ingredients, I Sofà Bar Restaurant opens the door for a rich buffet breakfast, traditional Roman cuisine for lunch and typical Mediterranean dishes for dinner. During the summer months, the restaurants move to the Roof Terrace. The hotel’s Bar offers a wide selection of regional wines and artisan beers alongside classic cocktails. In summer it’s possible to have an aperitif or a dinner surrounded by breathtaking views of Rome on the Roof Terrace. All guests of Indigo Hotel enjoy a free access to St. George Spa that includes a heated whirlpool bathtub, sauna, Turkish baths and a mini gym with Technogym equipment. If you are still looking for the best five-star hotels in Rome, check out also Palazzo Montemartini, located not far from the Diocletian Thermal Baths and Termini Station. This luxurious resort blends a classic architectural style with the contemporary elements of high-tech design and state-of-the-art technology to provide its guests with the best quality comfort. Palazzo Montemartini’s 82 rooms and suites are suitable for every type of guest traveling to Rome for business or for leisure and are all equipped with the best five-star amenities. The Spa Suites include a bedroom, a living room, a private Spa with a Turkish Bath, while the Fitness Suite is equipped with modern Technogym machines. Business Suites feature a private meeting room with a capacity of up to ten people, while the 300-square-meter Penthouse Suite is divided into two floors between outdoor and indoor spaces, features an independent entrance from the hotel’s hall and can host private parties for a maximum of 80 people. The hotel’s spa offers beauty and massage treatments, whirlpool bathtub with inside chaise-longue, the falls for cervical massages, sauna, Turkish baths, multi-sensory showers, hydrotherapy path and relaxing area for a herbal tea. At the exclusive Senses Restaurant & Lounge Bar, guests will enjoy a delicious blend of the Italian tradition and innovative flavors inspired by international cuisines. Do you prefer a homestay for your holiday? Check out our review of the best apartments in Rome.